I wanted to share with you two products from another one of my favourite stores; The Body Shop. I have loved the body shop for years and I’m ALWAYS stopping in the nearest one I can find. As soon I saw they had released a range specifically for fall, I went into the store to buy it. This year they released the limited-edition Vanilla Pumpkin Range. Honestly, it wasn’t that hard to sell me on the range. 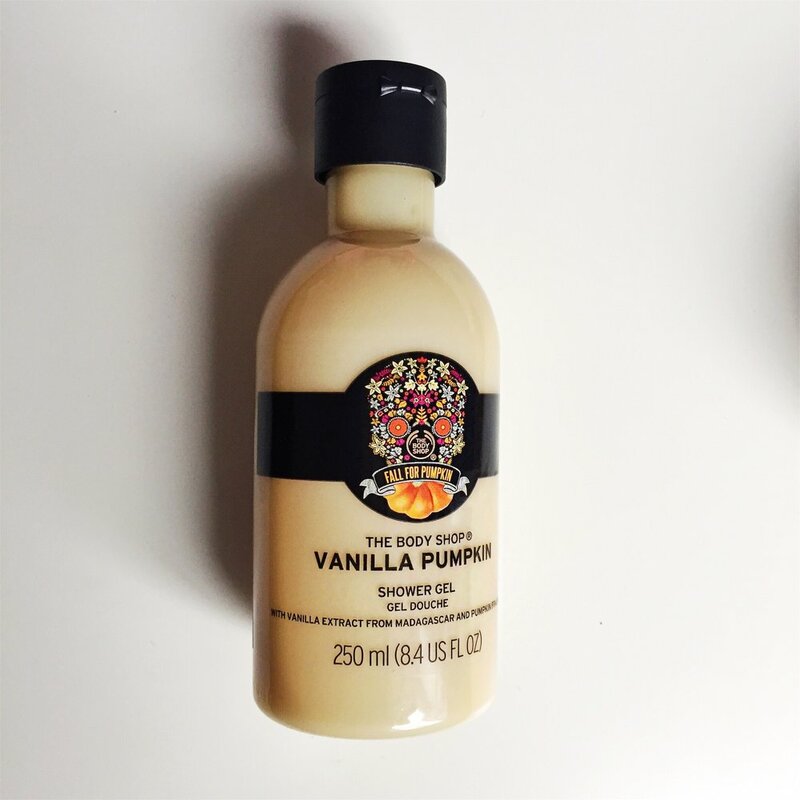 I love pumpkin and I also love vanilla and there you go. This range was basically created specifically for me! Ha-ha. 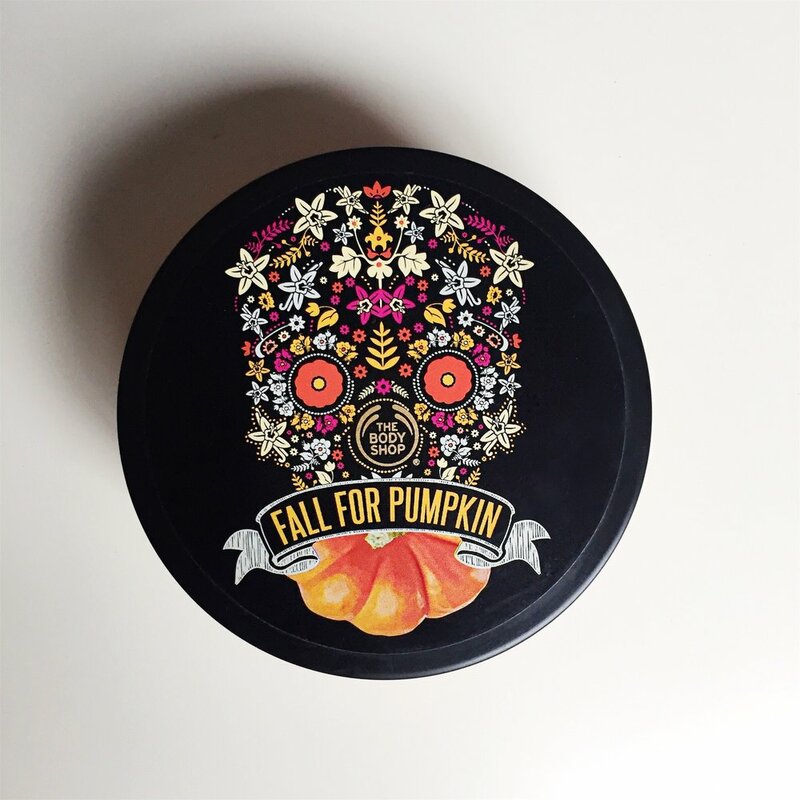 The range consists of a Vanilla Pumpkin Shower Gel, Body Butter and a Hand Cream. I bought the shower gel and body butter. I skipped on the hand cream because the last time I was in The Body Shop, they had a promotion of some kind going on and it resulted in me buying numerous hand creams. I was good in the hand cream department. I immediately started using the shower gel, despite still having half of my 750ml Wild Argan Oil in the shower, and I loved it. This should be the official scent of Fall. It smells wonderfully autumnal and my skin felt so soft when I got out of the shower; this before putting on any Body Butter. The past couple of weeks have been a bit gloomy. Sometimes I’ll be in the shower and I can see out the window that’s it grey and cloudy but smelling the vanilla pumpkin and having silky skin afterwards just made my mornings better. Following my shower, I used the Vanilla Pumpkin Body Butter. Again, the scent was just incredible! I will admit, the smell of Vanilla Pumpkin in the form of a body butter is better than that of the shower gel. Not sure why but I’m complaining. After using this, my skin felt incredibly soft, nourished and protected from the cold fall winds here in what has been a very windy Toronto for the past few weeks. My skin was well moisturized for the entirety of the day which is fantastic because I think like most people, I sometimes suffer from dry skin in the fall and winter months. You can have a look at the range, which is on sale right now, here. Thank you for reading, I wish you a lovely day.